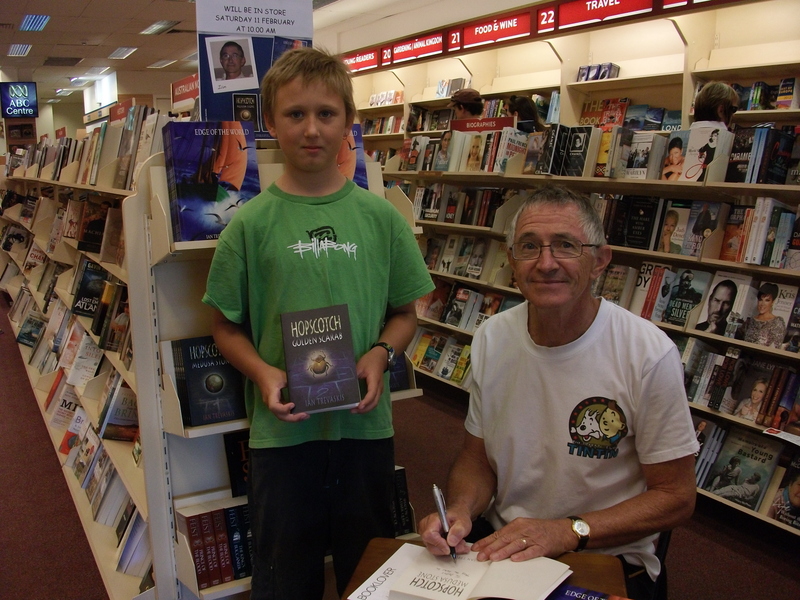 Kicking off our new author interview series, Lychees or Peaches, is author, Ian Trevaskis. Let’s go Ian! Acclaimed Author Admits He Made It All Up! Children’s picture books. Because I’ve never really grown up. Back in the good old days when I was a kid I had a Border Collie called Peggy. We would often sit on the back verandah and discuss the day’s events. She was never judgemental and I could tell her all my fears and aspirations. She would occasionally nod and offer a lick. 6 What was your latest book about? ‘Edge of the World’ brilliantly illustrated by Wayne Harris is about a fishing village near the edge of the world grieving for a mother and her children drowned at sea. Toby, the husband finds some magical silver pots in his nets and over time paints the village and brings life and hope back into their world. Simple – the village was near the edge of the world! My editor (Donna Rawlins) and I figured that was probably an appropriate title and there were no fisticuffs, probably due to the amount of wine consumed when making the decision. I can’t sing to save myself and I’m not prepared to kid anyone to the contrary. 9 We won’t ever force you to sing, Ian – it could result in a national disaster! What do you really, really, really, love? Apart from my gorgeous wife and four incredibly talented children, it would have to be the complete series of ‘The Famous Five’ by Enid Blyton. This looks way too tidy, Ian. Someone needs to go in a mess it up! ‘Edge of the World’ can be ordered through Walker Books Australia (a paperback edition was recently released) or from any major bookstore if they don’t have it in stock. Thanks for taking the time to do Lychees or Peaches, Ian! 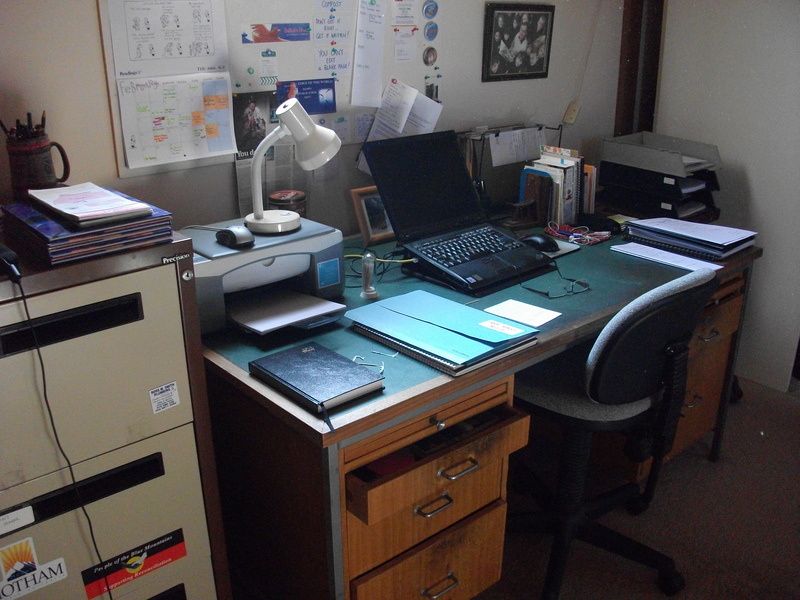 If you’d like to find out more about the mysterious Ian and his tidy desk, he has a website here!